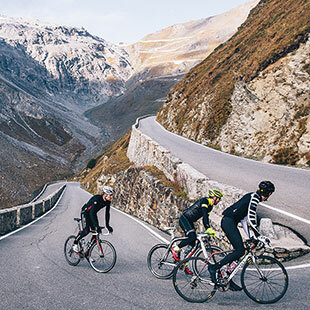 Surrounded by the unspoilt environment of the Stelvio Nature Reserve, its altitude of 2,758 metres above sea level renders Stelvio the highest drivable mountain pass in Italy, and the second in Europe. 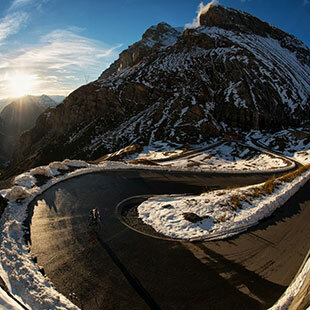 You can climb Italy’s highest paved pass via three mountain faces: the South Tyrolean face, leaving from Prato; the Lombard one, leaving from Bormio; the Swiss one, leaving from Santa Maria, the so-called Umbrail Pass. 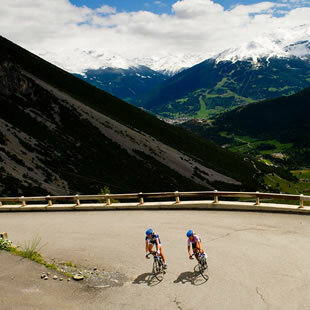 Of the three, we recommend the one leaving from Prato, which measures 24.3 kilometres and traverses the Stelvio and Swiss national parks. Known above all for its 48 hairpin turns, the ascent will seem like an endless trek towards the sky. And if you feel like you’re going to die during the ascent, don’t worry, even Fausto Coppi said he felt that way.